Author: Levitan, Jerry Set In . . . Imagine you're the world's biggest Beatles fan and you've just snuck into John Lennon's hotel room. But instead of being thrown out, inexplicably you're invited to spend the day with your idol. That's exactly what happened to fourteen-year-old Jerry Levitan in 1969. After hearing John was in Toronto for a "bed in," Jerry tracked him down at the King Edward Hotel and convinced the world's biggest rock star to sit down for an exclusive forty-minute interview. John talked candidly about war, politics, the scandalous Two Virgins album, and the supposed subliminal messages in his music. Now, forty years later, it's all here: Jerry's once-in-a-lifetime adventure, illustrated by acclaimed artist James Braithwaite and featuring never before seen photographs of John and Yoko. Also included in the book is Jerry's memorabilia from that day—notes from John and Yoko, the secret code to contact him, drawings, John's doodles, and much more. 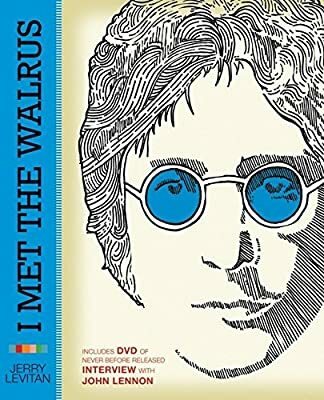 Complete with an audio and video DVD of the interview that inspired the Academy Award-nominated film of the same name, I Met the Walrus is an immortalized one-on-one moment with John—a must-have for Lennon fans around the world, as well as anyone who has ever dreamed of meeting a hero.